The Bible teaching in reference to the destruction of Sodom and its ultimate restoration is so important, that I have determined to devote a separate article to its consideration. In this event we have the plainest and perhaps the most striking illustration of God's invariable purpose in all his dealings with mankind, viz.., the good of the individual. Though it may be a most terrific and awful visitation of seemingly unmingled wrath, as in the case of Sodom, yet we may be sure, as is also clearly shown in this same case, that the purpose is one of benevolence, mercy and love, and this purpose will plainly appear in God's due time." We might be sure that this was so without any more special declaration than the simple one that, "God is love." If God is love,-if love is his very nature and essence, then of course it necessarily follows that everything he does is in some way a manifestation of his nature, love. "He cannot deny himself." Let it be noticed in this connection that love is not a mere attribute of God, like justice or mercy, but is his very essence, "God is Love." We sometimes hear people say, "Yes, God is Love, but God is just also;" they seem to think that God's justice is something to offset or oppose his love. They do not notice that when they say God is just, they simply declare that justice is one of God's attributes; but when the Bible says God is Love, it is plainly indicated that love is more than an attribute, it is his nature. It nowhere says in the Bible that God is justice, or God is mercy, or God is holiness. God is just, merciful and holy; these are attributes or characteristics of God, but neither of these denote his absolute nature. On the other hand we do read that God is love; it does not say simply that God is loving or lovable, but God is LOVE; He is Love itself; love is the substance of his being, and all his attributes are but the outward manifestation of some aspect of his nature,-love; so that whether he rains fire and brimstone upon Sodom, or sends his Son to be the Saviour of the world, both acts are equally the manifestation of his love. Does that seem like putting it too strong? How can it be otherwise? If God is love, if love is himself, can he do anything contrary to himself? Can he do anything in the least degree out of harmony with his nature? Must not all his acts be in perfect union with this foundation essence of his being? And must not each act be equally in harmony with love? Can it be that one act is in more perfect harmony with his nature, than some other act? Would not such a supposition make God's ways unequal? (Ezek. 18:25). O that we might know God so thoroughly, that we should trust Him perfectly, and so be able to look up to him fearless and unshrinking, like the "young man," Joshua, (Ex. 33:11), whether he manifests himself to us in the lightning, and thunder and quaking of Sinai, or in the melting tenderness and compassion of Calvary! Jesus is the "brightness of the Father's glory and the express image of his substance" (Heb. 1:3, N.V.*). What is the Father's glory? His Goodness. (Ex. 33:18,19). Is not Jesus the most perfect revelation of God's goodness that was ever "freely" given to man? He was the only human being who was "holy, harmless, undefiled;" and he "went about doing good, for God [the author and source of all good] was with him." And what is God's substance? I have already answered this question. Love is his substance, and surely Christ is a perfect revelation of the Father's love. Everything that is gentle and attractive, and loveable in Christ, is so simply because he is the reflection of the same attributes in God. "God so loved the world that He gave his only begotten Son." "God was in Christ reconciling the world unto himself;" it was all of God, and Jesus comes to reveal Him unto us. In Christ we "perceive the love of God;" in him was manifested God's Love," (1 John 3:16; 4:9) and thus is he the "brightness of the Father's glory and the express image of his substance." There are very few things in existence that we know what they really are; we know some things about them but we do not know their essence; for instance we know many things about electricity, but we know not what it really is in itself. But, wonderful to relate, we know what the infinite God really is! Love, Love, Love,-GOD IS LOVE! We know not Love, in all its breadth, and length, and depth, and height, for it "passeth knowledge" (Eph. 3:18,19), but there is no one of all the human race, upon whom has dawned intelligence, who does not know something of the emotion of love; this knowledge is as common to the race almost as breathing, hence all have within themselves the faculty whereby to know God whensoever he may reveal himself to them. But more is revealed of God's nature than the simple declaration that He is love; love is analyzed and defined for us, so that we may know what it is, i.e. what God is. Listen-"Love suffereth long and is kind: love envieth not; love vaunteth not itself, is not puffed up, doth not behave itself unseemly, seeketh not its own, is not provoked, [the word "easily" should be omitted; see N.V.] thinketh no evil, rejoiceth not in iniquity but rejoiceth in the truth; covereth all things [ N.V., margin], believeth [ or rather, hath faith] in all things, hopeth all things, endureth all things. Love never faileth." Here is a description of Love; but whoever had such a love as this? No one but he who is love God, hence this is a description of God, giving us all the details of his character, every particular of the divine nature, that we may come at last to know him fully, even as we have been known fully. (Verse 12, N.V., margin). Read over the description again and see if it can apply to any but God, and He who is his express image. Who but he "suffereth" long and is kind? Who but he "covereth all things, has faith in all things, endureth all things?" And of whom can it be said, but of Him, that He "never faileth?" "O Lord, our Lord, how excellent is thy name in all the earth! His name alone is excellent; his glory is above the earth and heaven." (Psa. 8:1; 148:13). Perhaps some of my readers are by this time saying, "What does all this long introduction have to do with Sodom?" If you cannot answer that question I am afraid you will not see the truth about Sodom. The one great purpose of all my writing and preaching is to make God known to those I have access to. To know God is life; not to know him is death; to know God is everything; not to know him is the sum of all evil [or missing His mark]. All the difference there is between a heaven and chaos [all too many people call this "hell" but this condition exist in the here and now] is that in the heavenly condition we shall know him fully; in the chaotic state they know him not. All the difference there is between satan's kingdom and Christ's is that in the former "darkness covers the earth and gross darkness the people," "they proceed from evil to evil, and they know not ME, saith the Lord" (Jer. 9:3. ); in the latter "The Lord shall arise upon them, and his glory shall be seen upon them, and the nations shall come to his light and kings to the brightness of his rising" (Isa. 60:2,3. ), and "the knowledge of the Lord shall cover the earth as the waters cover the sea," and "ALL shall know him from the least to the greatest." Therefore my one endeavor and ambition is that in whatsoever measure God has revealed himself to me, in that same measure to reveal Him to my brother and my sister, wherever I can gain a listening ear or a reverent and thoughtful mind. The manner of God's dealings with man, is a revelation of God to man; to know why God does what he does, in other words to "see the end [purpose] of the Lord" (Jas. 5:11) is to know, and to see God. The reason why we misjudge God, and are so ignorant of him is because we only see the means (and we see that very imperfectly) and we mistake it for the end. He only that knoweth God's purpose, knoweth God; hence I would study all history, sacred and profane, written or enacted before my eyes, with the one idea of discovering the principles upon which God acts, and the purpose of his actions. Peter tells us that the case of Sodom is an exemplary one. His method of dealing with that wicked city is a pattern of his way with all ungodly sinners (2 Pet. 2:6); hence the study of this case is of all importance. We should study it with no petty prejudice, or narrow, cut-and-dried ideas; but with the broad purpose of learning therefrom, as I have already said, the principles of God's method, and his ultimate purpose: and thereby we shall learn more of God, and of his relationship to man under all circumstances. Let us endeavor to study the subject in this spirit. I need not dwell upon the history of the destruction of Sodom, all are familiar with it, or may very easily make themselves so. We know that the city was so wicked that ten righteous persons could not be found within its walls and God destroyed them all by "a horrible tempest" (Psa. 11:6.) of "fire and brimstone." "Terrible" you exclaim, "what extraordinary sinners they must have been to have deserved such a fearful visitation as this!" Why, no, "they were not sinners above all men" (Lu. 13:4); in fact they were very ordinary sinners, not near as bad as many cities that are referred to in the Bible. Their sins were just the ordinary transgressions of all populous and wealthy cities, ancient and modern. What were they? Here they are. "Behold this was the iniquity of Sodom; pride, fulness of bread, and abundance of idleness was in her, neither did she strengthen the hand of the poor and needy; and they were haughty, and committed abomination." (Ezek. 16:49,50). These are not extraordinary, unusual sins. What city ever existed, or does now exist, that could not be truthfully charged with every one of the sins enumerated above? Many a city has been far worse than this. The above language would not begin to describe the "iniquity" of Paris, London or New York, let alone San Francisco. But more surprising still, Sodom did not begin to be so bad as the so called "holy city of David," proud and magnificent Jerusalem. The sin of Sodom was "a very little thing" in comparison with the sin of Jerusalem. (Ezek. 16:47). Think of it a moment. We know that the sin of Sodom was "very grievous." (Gen. 18:20). What then must have been the sin of highly favored Jerusalem, if in comparison therewith the sin of Sodom was "a very little thing?" Suppose we take the orthodox view of this case and see how well it will stand investigation. The case of Sodom is clear cut and unequivocal. We know that the Sodomites were exceedingly wicked sinners (Gen. 13:13). We know that when they were destroyed there were no righteous persons among them, "no, not one" (Rom. 3:10), for if there had been the Lord would have saved him with Lot, and thus the Sodomites were a fitting type of the race. We know that they perished in their sins, that none of them escaped, all were destroyed, (Lu. 17:29). Hence it is positive that these wicked sinners have all gone to an endless hell, if the orthodox view is correct. Is such a view in harmony with the Bible teaching in regard to Sodom? As we have already noticed, the sin of Sodom was comparatively "a very little thing." If the doom of Sodom for this comparatively "very little" sin is endless torment what ought to be the doom of Jerusalem? What ought to 'be the doom of Capernaum, and of the cities that reject "the gospel? For they also are worse than Sodom. (Matt. 10:14; 11:23,24). Sodom did not sin against light; they knew nothing of the true God or of Jesus Christ the Saviour. I know that Lot was among them, a righteous man, but we have every reason to believe that he was more interested in his worldly prosperity than in the moral welfare of those around him. At any rate rejection of the truth is not mentioned in the enumeration of the sins of Sodom. Would their guilt have been any greater, if they had committed that sin? Certainly it would, for it is on that very account that other cities are spoken of as worse than Sodom. This was the very reason why Jerusalem was worse,-because it sinned against great light; this was the very reason why Capernaum was worse; and this was the very reason given by Jesus Christ himself why it should be "more tolerable for Sodom in the day of judgment" than for those cities that rejected the truth. How does the idea of its being "more tolerable" for one than for another in the future state of punishment, fitting with the idea of endless torment for all? Not at all; it is arrant nonsense to talk about more or less tolerable endless torment, and any one ought to be ashamed to believe or advocate any such absurdity. But graver still is the question,-how can we vindicate the justice of God in his dealing with Sodom if the orthodox view is correct? Jesus plainly tells us that if Sodom had the light and advantages that other cities had, it would have repented; that light was withheld, through no fault of theirs, and they perished in their sins and are lost eternally. Why did they not have that light? Why didn't Sodom have as good a chance for salvation as any other class of human beings? That they did not, Christ plainly declares, and now their doom is sealed and they are hopelessly lost. Now if they had received light, they would have had as good an opportunity as others and would have been saved. You cannot reconcile this case with justice and equity on the ground of the prevailing theology. I will show presently how fully it harmonizes with the grand truth of probation after death, but it is certainly out of joint in every particular with the teaching of the nominal church. But now how easy to understand and how reasonable this declaration in regard to Sodom becomes in the light of the views presented in the preceding article. The judgment day is the period of man's probation. At that time every one shall receive according to his deserts "few stripes or many," (Lu. 12:47,48) and, passing through trial and discipline, even to the awful "winnowing" of the "stone of stumbling and rock of offence," shall be perfected through suffering, and, at last, created in the image of God. At that time it shall be more tolerable for those like Sodom, who in ignorance and mere animalism have only committed the crimes common to all mankind, than for those who, blessed with great light and large opportunities, have added to the ordinary sins of man the willful and persistent rejection of that light, and the ungrateful abuse of those favorable opportunities; highly favored Jerusalem, exalted Capernaum, and the cities blessed by the preaching of the apostles, shall be cast down into a deeper hell, than Sodom and Gomorrah, or Tyre and Sidon, though these latter cities were exceedingly wicked in their pride and cruelty, and intensely filthy with heathen corruptions and nameless abominations. It would be well if modern Jerusalem and Capernaums, in this most civilized, refined and intellectual of eras should take warning, remembering that, "Unto whomsoever much is given, of him shall be much required." The foregoing rational and scriptural explanation of the case of Sodom, clears up all the difficulties of the orthodox view. If the Sodomites are to have their trial and probation in some future time, then any inequality or partiality that may have existed or appeared in this life can be perfectly adjusted there, so that no ultimate injustice will be done. Had we no more scripture upon the subject than I have already referred to in this and the preceding article, the above would be in perfect harmony with that scripture. A legitimate conclusion can be drawn from it, and a reasonable explanation of all the circumstances of the case; explaining them in harmony with the Bible, the revealed character of God, our highest conceptions of justice and righteousness, arid the convictions of common sense and reason. But now in addition to all this evidence we are directly told that the Sodomites are to come up from their graves and be blessed with more wicked Samaria, and far more wicked Jerusalem. Who can doubt then that such is the glorious truth. All must admit that the view of the final restoration of the race in, the ages to come, to the image of God, is glorious if true; and with such positive and direct evidence, at least in regard to Sodom, as the above, how can we doubt its truth! But is the evidence positive and direct? Let us see. Turn to the 16th chapter of Ezekiel's prophecy and read it all through. You will notice that the first part of the chapter is highly figurative. The origin of Jerusalem is represented as that of a poor neglected female infant cast out as a low-born waif, friendless and ready to perish. God represents himself as taking pity on the babe, caring for it, and rearing it for himself. The figure moves on, growing more and more intense and striking. The child grows up to a beautiful womanhood, and the Lord says, "I spread my skirt over thee (compare Ruth 3:9), and covered thy nakedness; yea I swear unto thee, and entered into a covenant with thee, saith the Lord God, and thou becamest mine." Thus Jerusalem is represented as being married unto God. Then the figure goes on to represent the magnificence and beauty of the bride; "Thy renown went forth among the heathen for thy beauty; for it was perfect through my comeliness, which I had put upon thee, saith the Lord God." But self-trust, pride and unfaithfulness follows. In language most intensely significant the surpassing wickedness of Jerusalem is represented under the abhorrent figure of an unfaithful, corrupted wife, who not only plays the harlot herself, but teaches her children (verse 20, &c.) to commit like abominations; "Woe, woe, unto thee! saith the Lord God;" (verse 23) a terrible heap of corruption and crime is piled up against this shameless harlot, and then the Lord declares her punishment. "Wherefore, O harlot, hear the word of the Lord!" because of thy filthiness and abominations I will bring shame upon thee before thy lovers," and I will judge thee as women that break wedlock," and destruction, and ruin, and shame, and war shall come upon thee, and thou shall be robbed of thy wealth of thy fair jewels and the beautiful raiment, and thou shalt be stripped and stoned, and thrust through with the sword, and burned with fire; and I will pour out my fury and anger upon thee. Then the Lord goes on to declare that Jerusalem had followed the tendencies of her heathen origin, and, like the Amorite and the Hittite, and other Canaanitish nations, had wrought all manner of "abominations" (Deut. 18:9). Samaria, the capital of the wicked kingdom of Israel, and Sodom, the principal city of the plain, are her elder and younger, or rather her greater and lesser (see margin) sisters. It is not the age of these cities that is referred to in the terms rendered "elder" and "younger," but their comparative guilt. Sodom, Samaria and Jerusalem are represented as three sisters of one common, corrupt parentage. Sodom is called the "lesser" because the least guilty of the three, having had the least light and fewest privileges. Samaria is next in guilt, the greater or elder sister of Jerusalem, being next in favorable advantages; while Jerusalem is far worse than any of the others, having had the greatest blessings and opportunities. Therefore God says to Jerusalem, "Thine elder sister is Samaria, and thy lesser sister is Sodom. Yet hast thou not walked after their ways, nor done after their abominations; but as if that were a very little thing, thou wast corrupted more than they in all thy ways. As I live, saith the Lord God, Sodom thy sister hath not done, she nor her daughters, as thou hast done, thou and thy daughters. Neither hath Samaria committed half of thy sins, but thou hast multiplied thine abominations more than they; and hast justified thy sisters in all thine abominations which thou hast done. Thou also which hast judged thy sisters, bear thine own shame for thy sins that thou hast committed more abominable than they; they are more righteous than thou; yea, be thou confounded also, and bear thy shame, in that thou hast justified thy sisters." This is a most terrible charge. So great and overshadowing was the sin of Jerusalem that the sins of these other wicked cities sink into utter insignificance in comparison; the immensely greater iniquity of Jerusalem even seems to justify (excuse altogether) the comparatively trifling transgressions of Sodom and Samaria. When we think, again, of the great enormity in itself of the iniquity of these two exceedingly wicked cities, and yet are told that their sin was "as a very little thing," and even "justifiable" in comparison to the far more enormous sin of Jerusalem, we can perhaps form some faint idea of the tremendous guilt and deep corruption of this latter city. Now then if there is mercy and blessing in store for Jerusalem, "the chief of sinners," surely we need not be surprised or incredulous when we are told of future mercy and blessing for the less guilty cities of Samaria and Sodom. But every reader of the prophets knows that they abound with glowing predictions of coming good for Jerusalem. See for example, the 40th and 60th chapters of Isaiah; the 30th and 3lst of Jeremiah; the 20th and 36th of Ezekiel; the 2nd of Hosea, and many others. In this same chapter moreover (the l6th of Ezekiel) although it sets forth in so striking a manner the colossal iniquity of this devoted city, yet it closes with abundant promises to it of future redemption and glory. Most Bible students accept these promises of future good to Jerusalem, and expect to see them fulfilled. Why then endeavor to explain away and nullify similar promises in the same chapter to less sinful Sodom? I will answer the question. Because future blessings for Sodom necessarily imply probation after death, while such blessings for Jerusalem do not necessarily imply that doctrine. The promises of future good to Jerusalem may be fulfilled to those of Abraham's seed who are living at that future time. But similar declarations concerning the Sodomites cannot be so fulfilled, for the simple reason that there are no descendants of that people, they were utterly exterminated by the rain of wrath that God sent upon them; hence if there are future blessings for them they must be raised from the grave and receive those blessings after death, which implies as I have already said, probation after death; but this great truth so grand and glorious, and the only view that will harmonize the whole Bible, is the very thing that the church in her blindness and ignorance will not accept; therefore, though they may accept happy predictions concerning Jerusalem and Israel, with manifest inconsistency they utterly reject these intimations of future good for Sodom. But, thank God! Their rejection cannot change the truth; this important and glorious scripture remains, teaching us plainly that there is hope even for the impenitent dead. Let us turn again to the l6th of Ezekiel. We have examined to the 53rd verse; we have found that the greater part of the chapter up to this point is highly figurative, but as we get along into the middle part it becomes less and less figurative, until in the latter part of the chapter the figure is almost entirely dropped and the statements are in plain and direct terms. The 53rd and the two following verses read, correctly rendered (see New Version), "I will turn again their captivity, the captivity of Sodom and her daughters, and the captivity of Samaria and her daughters, and the captivity of thy captives in the midst of them; that thou mayest bear thine own shame, and mayest be ashamed because of all that thou hast done, in that thou art a comfort unto them; and thy sisters, Sodom and her daughters, shall return to their former estate, and Samaria and her daughters shall return to their former estate, and thou and thy daughters shall return to your former estate." Now what does this most remarkable prophecy mean? What does "turn their captivity" mean? This is explained in verse 55,-"restore them to their former estate." Now in order to avoid as much as possible complication and confusion, we will consider the subject solely with reference to Sodom, ignoring for the present the other two cities named; the prophecy then is simplified to this, Sodom shall be restored to her former estate. What does this mean? What is the legitimate, positive conclusion from this wonderful prophecy? The Sodomites, at some future time, will come forth from the grave to their former state and condition; if they are restored at all it must be from the grave, since there are no living descendants of the Sodomites, all were destroyed: the above conclusion then is necessary; however, I will notice objections presently. Now we will ask, what is this restoration for? Why are the Sodomites to be thus restored? The remaining part of the chapter plainly indicates that they are to be restored to be blessed; there can be no doubt but that a promise of future good to Jerusalem is contained in the last part of this chapter; they are to be "ashamed" of their wrong doing, and God will "remember his covenant with them," and shall "establish an everlasting covenant with them," so that they shall know the Lord, and he will be "PACIFIED toward them for all that they have done." When this takes place Jerusalem shall "receive her sisters," Samaria and Sodom, "for daughters," which certainly means that these two latter cities are to share in those future blessings. There are two other passages concerning Sodom in the New Testament that I must briefly notice in passing. 2 Pet. 2:6, and Jude 7. I will only say now that both these passages agree in making the case of Sodom an "example" of God's punishments of the ungodly; (see the margin of the New Version on the latter passage). The word rendered "eternal," as almost all Bible students now admit, does not mean endless, but age-lasting; and several "ages" have already passed since Sodom was destroyed. But I will not notice this point further now; probably in the next paper I shall discuss the meaning of this word in an article by itself; at any rate we are sure that the Sodomites are not eternally doomed, for they are to be "restored to their former estate," to be blessed. 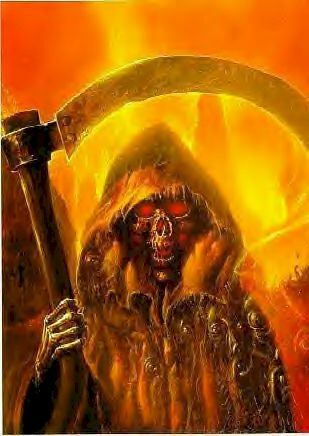 The truth of a probation after death being established in regard to Sodom it follows in the case of all the dead who have not had their probation in this life. This future restoration is not a special provision for the benefit of Sodom alone, but a future development in the plan of God for the blessing of all mankind. "It is appointed unto men once to die, and after this probation." We find the same language used here in regard to Sodom-"bring again their captivity"-which is further explained to mean, "restored to their former estate"-we find this same language used of other nations; for instance Moab, Ammon and Elam (Jer. 48:47; 49:36,39). Without the case of Sodom we should not be able to understand the above references to these latter cities; but with this case in mind it is fair to conclude that, since similar language is used of these nations as of Sodom, they, like Sodom, are to be restored in "the latter days" to be blessed. Still further in regard to Moab, see Zeph. 2:8-11, noticing especially the last half of verse 11. The same conclusion follows also in regard to Edom; see Jer. 49:17,18, where the destruction of Edom is compared to the destruction of Sodom; and yet we know that sometime in the future "when the kingdom is the Lord's," there are blessings for Edom, as there are for Sodom; see Obad. 21. And finally David makes this restoration of the nations universal when he says, "All nations whom thou hast made shall come and worship before thee, O Lord, and shall glorify thy name; for thou art great and doest wondrous things; thou art God alone." (Psa. 86:9,10). Here then is a most positive testimony in favor of probation after death. According to this testimony death does not fix our eternal destiny. It seems as though this case were arranged in such a way that no one could honestly doubt but that it teaches post-humous probation. Sodom, an exceedingly wicked city is utterly destroyed; not a soul left, so that there cannot be any of their descendants on the earth; if it were not for this,-if it were possible to suppose that a few of the Sodomites escaped so that their posterity were still living on the earth, then this declaration of the ultimate restoration of Sodom would be accepted at once, and it would be explained to apply to the living descendants of the ancient people. I will give an illustration presently of the strenuous efforts made to hunt up some sort of a Sodomitish seed still living on the earth so that this prophecy may be fulfilled to them without the necessity of accepting a probation after death. But we know if Sodom is restored at all it must be from the grave, hence the doctrine of probation after death follows. The Sodomites belong to that class who, "having done evil" in this life will "come forth from "the grave unto the resurrection of judgment, trial or probation," as I have noticed in the preceding article. This case is also a perfect illustration of Psa. 90:3, "He turneth man to destruction, and saith return ye children of men." Sodom is overwhelmed with a most awful destruction, but to them shall yet go forth the command, "Return ye children of men." This is a part of Christ's work. "He has the keys of death and of hades," and he shall "proclaim liberty to the captives, and the opening of the prison to them that are bound," and he shall "say to the prisoners, go forth; to them that are in darkness, shew yourselves," though the prisoners are gathered together in the pit and shut up in the prison many days yet "shall they be visited." (Isa. 24:22). They are finally delivered. "All that are in the grave shall hear his voice and come forth. Those who have entered into resurrection life, prior to putting down their clay tabernacle, are not subject to judgment unto probation; however, they that did not receive light or have missed the mark (sinned), they will find "salvation" through judgment of probation-the essence of LOVE. This same case also illustrates Psa. 83:16-18. In fact the above view in regard to Sodom is in harmony with all scripture and is the only view that will harmonize all scripture, as I have abundantly shown in this and the preceding article. Great efforts have been made by various classes of Christians to break the force of this argument in favor of probation after death. This is a very troublesome passage for those who oppose this doctrine to handle, it is so plain and straightforward that they have much ado to clear it out of the way; there it stands, in plain terms, as stubborn as the bed rock of God's truth upon which it rests,-Sodom shall return to her former estate to be blessed,-if she does thus return, it must be from the dead, and the doctrine of post-humous probation is immovably established. "But we cannot accept that doctrine," say the great majority of the nominal church, "we must manage to explain this case of Sodom in some other way;" but how? I will now notice briefly a few of the efforts that have been made to clear this troublesome passage out of the way by those who believe that physical death fixes the eternal destiny of all. One makeshift is to claim that the whole passage is ironical. When Sodom shall return to her former estate, then thou shalt return; implying that the return of Sodom is an impossibility, hence Jerusalem will never return. But who can read the whole chapter, especially the last part of it, and have the face to urge such a transparent subterfuge as this? nowhere is there the slightest indication that the passage is ironical. Furthermore we know from other scripture that Jerusalem will be restored, hence Sodom must be. Finally the New Version has destroyed the last prop of this flimsy argument by leaving out the adverbs of time, when, then, upon which it wholly depended. I noticed in my book, "Bible Theology," some years ago, that these adverbs were not in the original, and ought not to be in the translation, and when the new version has now confirmed that view, and so this ironical makeshift must be abandoned. Another explanation is that it is not the people of Sodom that are to be restored but the land, the site of the ancient city is to be restored from the salt sea that (it is claimed) now covers it; and they refer to Matt. 11:24 as proof,-"it shall be more tolerable for the land of Sodom," etc. The mere statement of this silly quibble is sufficient to refute it. The "iniquity of Sodom" was not the iniquity of the land, but of the Sodomites; the land never sinned, nor is it to be judged in the judgment day. It is a marvel that any one could present such a view in sober earnest, and not be ashamed of its utter foolishness. Of a piece with the foregoing is another view of this subject, advanced in a little pamphlet by an advent brother, who has written ably upon other subjects, (notably, "conditional immortality")-viz. that the restoration here referred to is that of the city of Sodom which will sometime be rebuilt on an ancient site. This writer says, "Turning the captivity of an overthrown city would mean having it rebuilt, though not with the old stones, and mortar, and iron, and timbers; and having it repeopled but not with the former citizens." Again he says, "Another Sodom will ultimately be reconstructed on the site of the ancient town." "A new city will reappear on the original locality," peopled by "a new race." "The old city never reappears, though a new one shall occupy its ground." This, the writer says, is the restoration of Sodom to her former estate. This view he advances as "the only rational one" harmonizing with other scripture. Does not every reader see the absurdity of this view at a glance? Would there be an restoration about it, if "a new city," peopled by "a new race" are one day built upon the ancient site of Sodom? What or who is to be restored? "I will bring again their captivity, the captivity of Sodom." "Thy sister Sodom and her daughters shall return to their former estate." What does the personal, plural pronoun their refer to? the city or the people? The people, of course, there is no room for two opinions. So all through the latter part of this chapter, the most cursory reading will show that by the term Sodom, is meant in every case the inhabitants of that ancient city. The pronouns "their," "they," and "them" in verses 47-55 cannot refer to the city nor to the land but to the people. This prophecy may be fulfilled, though neither the land nor the city be ever restored, as it has nothing to do with either, but applies entirely to the inhabitants of Sodom. One of the most desperate efforts to destroy the force of this prophecy in favor of probation after death recently appeared in the "Bible Banner" of Philadelphia. One of the contributing editors of that paper attempted to show that the Sodom referred to in this passage, was not the ancient city of the plain destroyed in Abraham's time, but a more recent, and then existing, city. He bases this claim upon the tense of the verb;-"thy sister Sodom that dwelleth at thy right hand." The old Sodom, he says, was not a "sister" of Judah and of Israel, either by blood or association, hence he thinks that Ezekiel is speaking of another Sodom. How careless men read God's word! Is it not plainly indicated in verse 50 that the Sodom referred to here was not in existence at the time the prophecy was uttered? "I took them away as I saw good." In regard to the sisterly relationship between Sodom and Jerusalem, it is true that it was not one of blood or association, but of common wickedness and guilt; just like the Hittite and Amorite. The writer altogether misses the meaning of the figure, that represents Jerusalem as the child of the Hittite and the Amorite and the sister of Samaria and Sodom; verses 44 and 45 explain these relationships. The writer, having proved, as he thinks, that a then existing Sodom is referred to by the prophet, goes on to argue that, since the return of Jerusalem and Samaria will be a return of those living at that time, "so must the return of 'sister Sodom' be a return of living representatives of that people." But there are no "living representatives" of the Sodomites; they were all destroyed, without a single exception. But this writer must have some "living representatives," of that people so that this prophecy may be fulfilled with a probation after death,-and he finds them too, and shows (in his own estimation) that the Sodom referred to here was descended from the old Sodom; "When Sodom was destroyed," he says, "Lot and his daughters escaped. From them sprang Moab and Ammon. Being the only remnant left of the destroyed city, they rightfully might be called Sodom; Probably Lot's wife was a Sodomite." Thus this writer would have us believe that when the prophet says Sodom he means Moab, and that this latter nation is properly called Sodom because of their descent from the daughters of Lot. But he goes on with a still more wonderful argument to establish the relationship between Sodom and Moab, thus,-one of the sins of Sodom was pride; the sin of Moab was also pride (Jer. 48:29), therefore they were related. He says: "This feature [that both Sodom and Moab were proud] identifies 'sister Sodom' with Moab." This is a most wonderful identification! Any other city that ever existed could be "identified" with Sodom in the same way; and yet all this is presented as argument to prove that there is no probation after death for Sodom or any other people. What does it prove? It proves that the argument drawn from the case of Sodom in favor of that doctrine is unanswerable. When intelligent men,-able, thoughtful, learned men, are driven to almost stultify themselves in their desperate efforts to disprove this doctrine, it is one of the best of evidences that the doctrine is true. The case of Sodom stands as a tower of strength in favor of this grand, scriptural doctrine; and all the efforts of the opposers of this view to break down this tower, only tend to bring out its strength more and more; and if a probation after death is proved for Sodom, it is proved for all the dead, that have not had their probation in this life. I will conclude with noticing two more thoughts. A future probation for Sodom such as is taught in this prophecy would not be a second probation, or another chance, as some say, but the only probation, and the only chance that Sodom ever had. Probation is the period of education, training, enlightenment, development, and perfecting through suffering; we cannot have such probation unless we have the true light of God; Sodom was destitute of all such light, hence has had no probation, and will have none until she is "restored to her former estate." I would add a word on one other point. The prophecy concerning Sodom, bears as hard against the Non-resurrection view, and the Annihilation idea as against the doctrine of endless torment. If Sodom is to have a future life, as this prophecy plainly indicates, then the idea that the wicked have no resurrection must be false. If Sodom is to have a future life to be blessed, then the advent idea that the wicked are to be raised from the dead simply to be annihilated is also disapproved. Thus this prophecy of Sodom stands as a bulwark against error and for the protection of the truth. It is a most remarkable prophecy, utterly out of joint with all the denominational creeds, and all other beliefs that would narrow down the plan of God for man's only redemption to the present life and the present age. But it is in full harmony with the views of those who see that the present life for the vast majority of the race is not their period of probation or trial for eternal life, but that such probation will come "after death." And that the present age, and all the ages past, are but the preparatory stages to the great work in "the ages to come," even the "ages of ages," of creating man, the entire race, in the image and likeness of God. This latter view is in harmony with all scripture, and is thus marked as the truth of God. It is a tremendous truth because it determines the truth in regard to the destiny of all mankind. Sodom and all the wicked dead that have not heretofore had their trial, will "come forth" in the "ages to come," to have their probation for eternal life and immortality.